Please note, we now use a 4 inch center body on chandeliers over 5 arms. 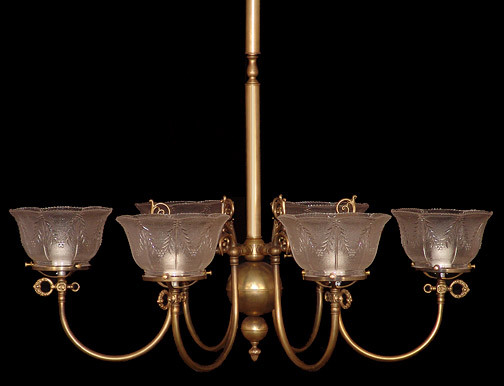 This lovely Oval Victorian gas light chandelier is just right for your formal dining room. Reeded tubing is an added embelishment. Realistic gaskeys add period accuracy.